In case you haven't heard Star Wars Episode VII: The Force Awakens opened recently, removing the shroud of secrecy that has been covering it. So here's what we know now: J.J. Abrams is awesome, and rather than coming up with a brand new story for his take on Star Wars, he decided to remake the original Star Wars film, A New Hope. Anyone with eyes and a functioning brain can see that there are more than a few passing similarities between the two films. 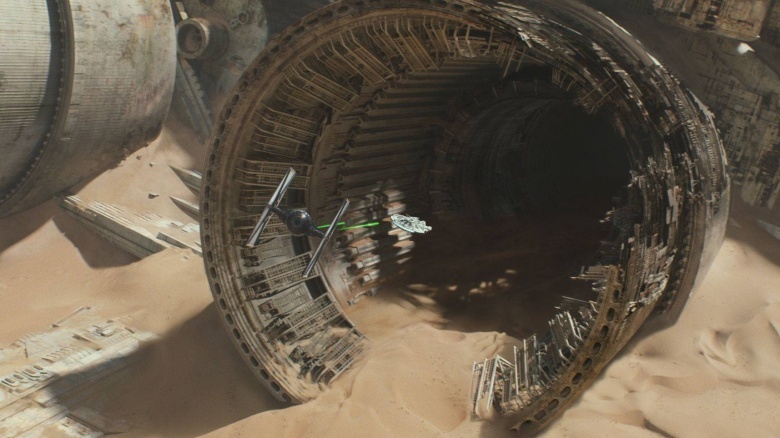 Here are the major ways that The Force Awakens is basically just A Newer Hope. And of course, major spoilers follow, y'all. A New Hope introduces audiences to three heroes who are, nearly four decades later, still household names: Luke Skywalker, Princess Leia, and Han Solo. They became the core of the initial Star Wars saga and the driving force behind the franchise. 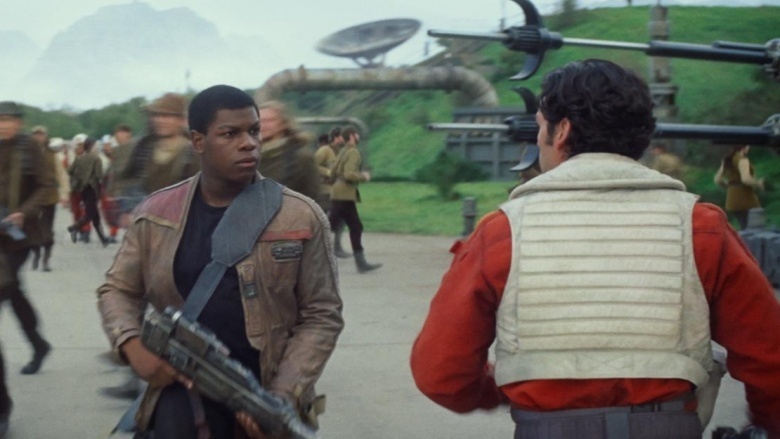 The Force Awakens introduces us to three new household names: Poe Dameron, FN-2187 aka Finn, and Rey, this generation's trio of heroes. Based on what we've seen in the film, they're the Luke, Leia, and Han for this generation—it's just that no one can quite figure out which one is which. 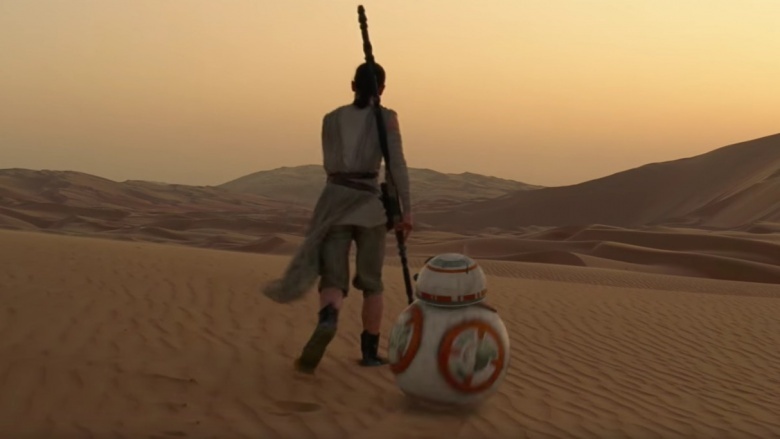 Anyone else find the scenes of Rey walking the Jakku desert with BB-8 by her side a little too familiar? Maybe it's because you've seen it before. After purchasing C3PO and R2D2 from a Tatooine outpost, Luke Skywalker walks in the Tatooine desert with R2D2 and C3PO in A New Hope in just the same way. We're stating the obvious here. Kylo Ren is clearly a reincarnated Darth Vader, right? An evil, looming, masked black figure who reports to a gigantic, withered monstrosity of evil? That description can work for both Kylo Ran and granddaddy Darth Vader. We even hear similar origin stories about the two, as characters tell us that both Darth Vader and Kylo Ren betrayed their masters and destroyed the other Jedi Knights. But where Darth Vader was a dispassionate creep who had mastered his emotions, Kylo Ren is still a slave to them, and can't help but flip out on computer consoles with his lightsaber when things don't go his way. Thanks to R2D2's secret message from Leia to Obi-Wan Kenobi, Luke, the farmboy whose future as a Jedi would save the Rebellion and the galaxy, is led to his Jedi mentor. R2 holds the secret key that's needed to basically save everyone in A New Hope. 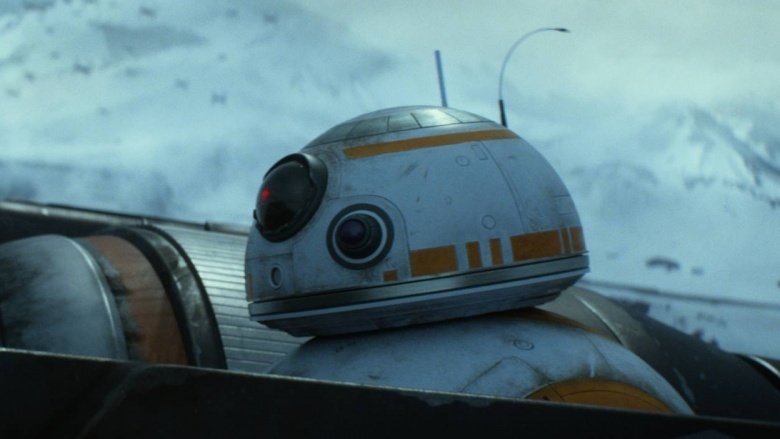 In The Force Awakens, Poe Dameron trusts his droid, BB-8 with the final piece of the map that would lead the resistance to Luke Skywalker. BB-8 holds the clue the resistance needs to save the galaxy. As ever, the droids are the real heroes here. Since Rey is pretty clearly meant to be the new version of Luke Skywalker, it makes sense that she too would have been raised an orphan on a desert planet. And the similarities between Jakku and Tatooine are almost total and complete—all that's missing are the twin suns and Jabba the Hutt. 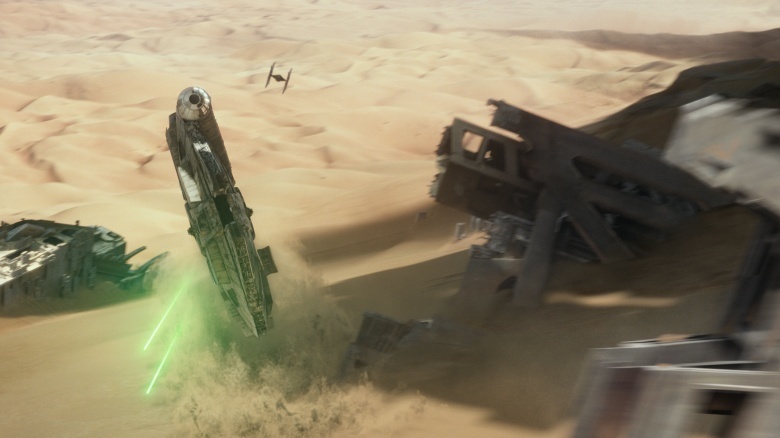 Then, Rey escapes from Jakku while being pursued by agents of the evil First Order in the Millennium Falcon…just like Luke escapes Tatooine while being pursued by agents of the evil Empire. You really don't need us to spell this one out. 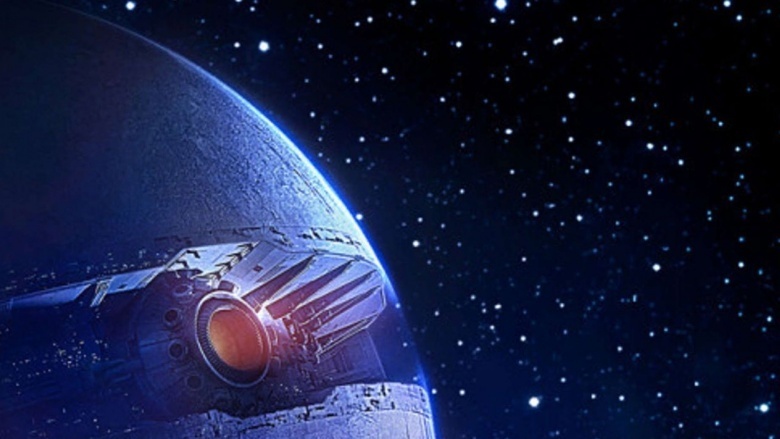 When the Death Star makes its second appearance in Return of the Jedi, it's bigger and badder than the first one. But when it shows up in The Force Awakens as the Starkiller Base? It's even biggerer and badderer. In fact, while much of The Force Awakens is a remake of A New Hope, we're going to go out on a limb and just say it: The First Order's Starkiller Base is just a complete rip off of Darth Vader's Death Star. 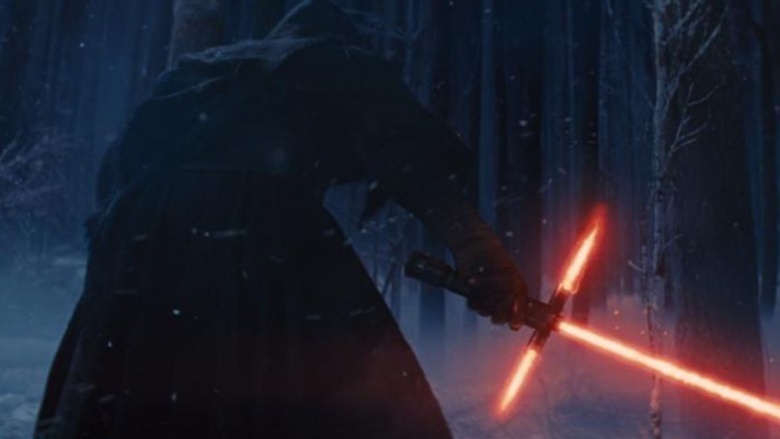 While the Starkiller Base can inflict much more damage than the Death Star, it's basically the same weapon. 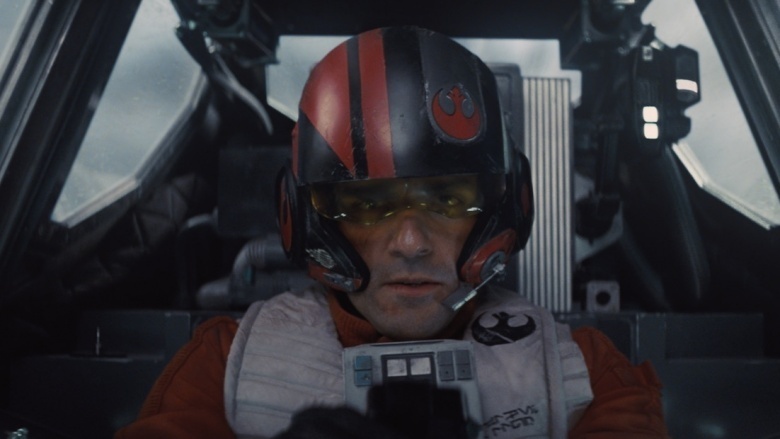 Poe Dameron solidifies his position as a main hero in The Force Awakens in the huge fight scene at the end of the movie, in which he pilots a an X-Wing in the coordinated attack against the Starkiller Base. It's nearly identical to Luke Skywalker's scene at the end of A New Hope, and it has pretty much the same results: a gigantic explosion in space.